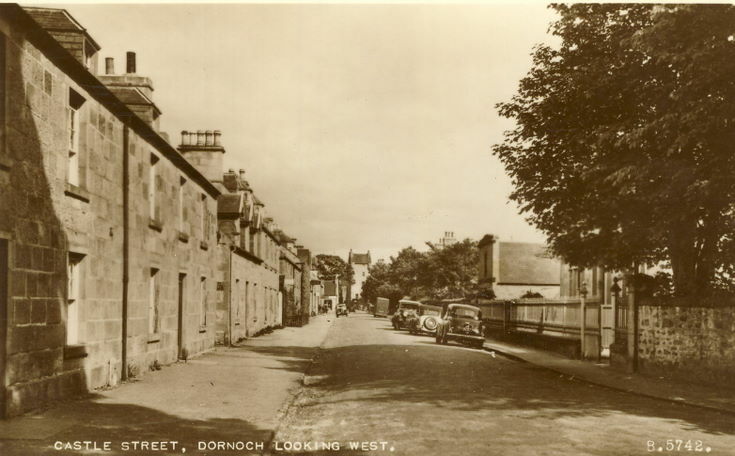 Monochrome postcard with title 'Castle Street, Dornoch Looking West' which is incorrect, the view is looking east taken from the area of Roseberry Avenue looking towards the Castle. From an album of postcards and photographs taken by Mrs J.I.C. Mackay of Dornoch and its surrounding area.